CoolSculpting is breakthrough procedure that utilizes cryo technology to eliminate stubborn fat. Even with proper nutrition and exercise, certain areas such as the stomach and love handles can retain unwanted fat. For these areas, CoolSculpting is a non invasive, cost effective method to remove excess adipose tissue and leave the treated area sculpted and trim. CoolSculpting works though the use of a freezing applicator. The applicator is suctioned to the skin and the patented cryo- technology freezes away the underlying fat cells. After around 30 minutes at the freezing temperature, the fat cells die. They are then removed from the body via the bloodstream over the next 4-6 weeks. CoolSculpting is one of our quickest and easiest procedures. The nurse will connect the applicator to the treatment area and the machine will work for around 30 minutes per area. Because Dr. Martin has two machines, two areas can be sculpted at once and treatment times can be cut in half. The treatment may cause slight pain or discomfort. CoolSculpting has ZERO recovery time. You can be treated and get back to your regular schedule and activities immediately. The body will take 4-6 weeks to remove the dead fat cells so it will be around 1-2 months before you see results. CoolSculpting is extremely effective at removing stubborn fat. However, the fat can return if the patient gains weight. 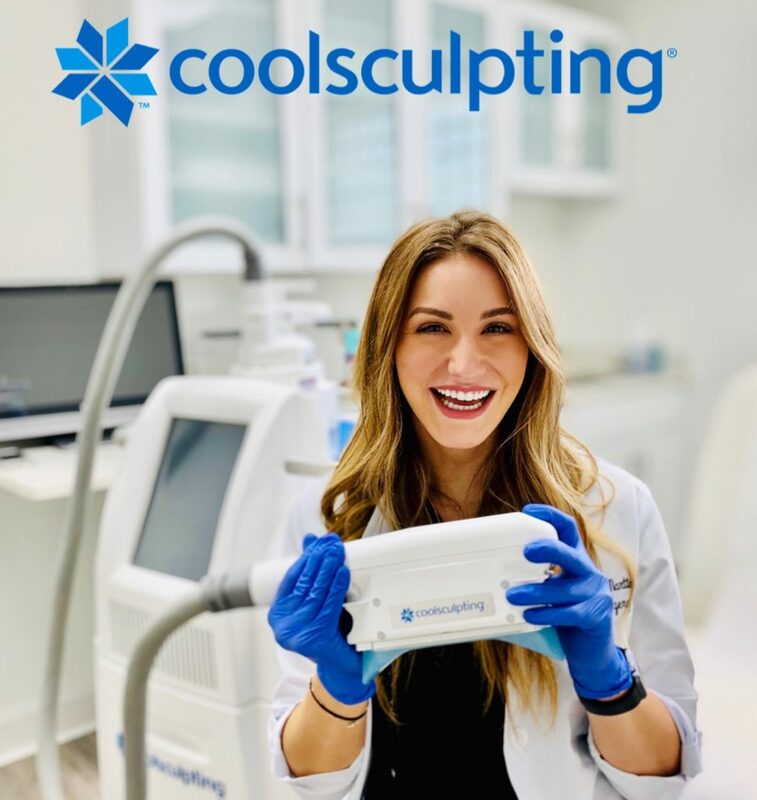 CoolSculpting works best for patients that have their diet and exercise dialed in but are still dealing with stubborn, hard to lose areas of fat. Dr. Martin’s office is an Official Certified CoolSculpting Practice.